The Best Caramels in the World! 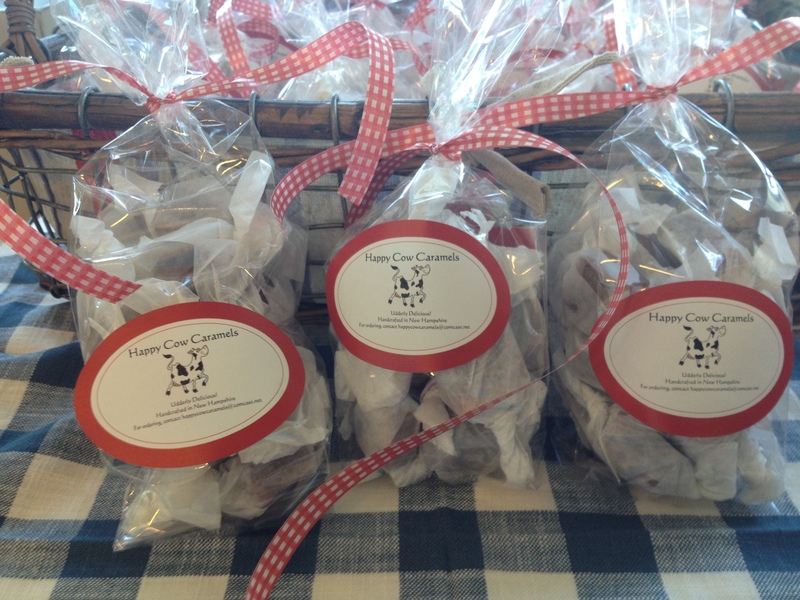 We are proud to present Happy Cow Caramels – absolutely, udderly, no kidding delicious! Buttery, creamy bites of chewy heaven – sure to put a smile on your face. Handcrafted from the finest cream and butter from the happiest cows, Happy Cow Caramels are the best candies you have ever put in your mouth! Each and every batch of Happy Cow Caramels is made to order to ensure quality and freshness. Each is handcut and individually wrapped. Happiness direct from New Hampshire. First, try our original Vanilla Sea Salt Caramels – the chewiest, the sweetest, the yummiest. In short, the perfect caramel candy. Or try the melt-in-your-mouth Chocolate Chip Walnut Caramels - chewy and crunchy at the same time. How about Cherry Almond Chocolate Chip Caramels for your daily serving of fruits and veggies – keeping you healthy and happy all in one. And if you crave a little zip, why not try the Chrystallized Ginger Caramels - definitely for the adventuresome. Our cows are coming up with new flavor ideas – stay tuned to Happy Cow Caramels. We use only the best and freshest ingredients: cream, sugar, creamery butter, vanilla, and salt. Flavor variations contain nuts (almonds or walnuts), chocolate, dried cherries, marshmallows, or a combination of these ingredients. To order, please email happycowcaramel@gmail.com. Or you can head straight to our ordering section. We look forward to making you a Happy Cow lover!